Defending the baseline by trying to track down and return every ball your opponents hit until they eventually (hopefully) err is a sound strategy for some tennis players, albeit with a few shortcomings. First, you are relying on your opponents to make mistakes while they dictate the pace of play. Second, baseline defenders must possess great speed, agility and endurance to retrieve balls for an entire match. This tentative tactic is best left for the young. A more aggressive style—hitting powerful groundstrokes with a judicious amount of topspin, then attacking the net to decrease the angle and return any short balls for a winner—means you not only better direct where the ball is played and control the point, but also run less. 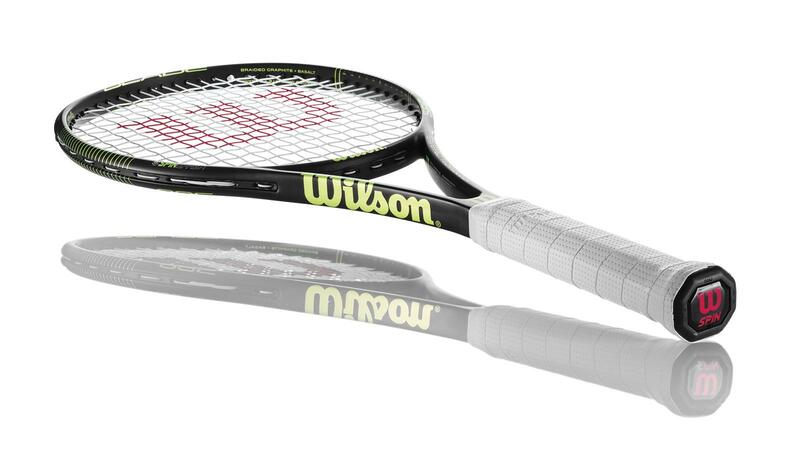 To aid aggressive, offense-style tennis players, venerable sporting goods maker Wilson has retooled its popular Blade line of racquets (part of its Attacker collection) for 2015, most notably the Blade 98S (pictured), with new designs, lighter materials, more stringing patterns and the company's patented Spin Effect Technology. The new Blade 98S ($199) is constructed out of a braided graphite and basalt composite. At 312 grams, it is not only lighter than past iterations, but enhances feel and control with its elasticity. The company has also increased the size of the sweet spot (the area of the face that imparts the most force on the ball) by roughly 26 percent by drilling the grommets so that they are parallel with the string bed. Finally, the Blade 98S offers precision spin control via Wilson's Spin Effect Technology, which enables the strings to give more during the stroke. This increased bowing of the strings, combined with the 18 x 16 string pattern (18 vertical strings by 16 horizontal), momentarily cradles the tennis ball and imparts potentially 200-plus rpms on a shot. This translates into more shots landing inbounds on the court. Wilson rounds out the rest of the Blade line with three other string patterns: Blade 98 18x20, Blade 98 16x19 and the Blade 104, its oversized head option. If you're looking for a workout, Wilson has its Baseliner collection. And for those who hit a mix of shots, the manufacturer makes All-Courter racquets. But if you're looking for winners, then it's time for the Blade.